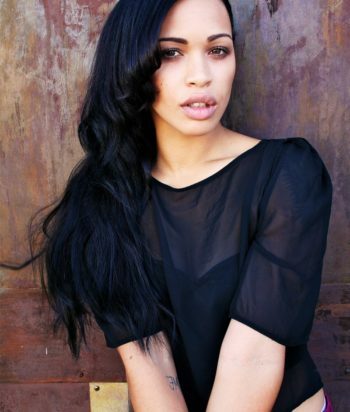 Cleopatra Coleman is an Australian actress who lives in Los Angeles, California. She is best known for playing Erica on the American comedy series The Last Man on Earth. In 2008, Coleman appeared in the television series Elephant Princess and in stage productions of Simon Stephens’s Motortown with Melbourne’s Red Stitch Actors Theatre and succ with Ezy-Peezy Productions. In 2009, Coleman appeared in a guest role in the television series “City Homicide”. In 2010, she spent three months in Los Angeles securing representation, and then returned to Australia for a guest role in the television series Rush. In 2011, Coleman co-wrote, executive-produced, and starred in the short film Trains, the first project for Coleman/Coleman productions, created by Cleopatra Coleman and her father, Mick Coleman. In the same year, she was cast as DJ Penelope in Step Up: Revolution, a film released on 27 July 2012. In 2012, she was featured in music videos by Nervo (“You’re Gonna Love Again”) and Far East Movement (“Change Your Life”). In 2014, Coleman was featured in a music video by Galantis (“Runaway (U & I)”). In 2014, Coleman was cast as a regular cast member in the Fox comedy series The Last Man on Earth. She plays the role of Erica.